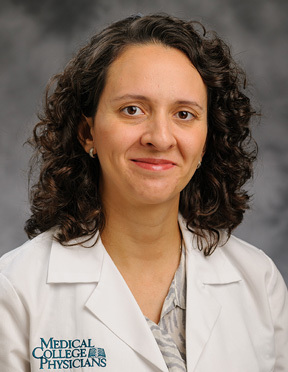 Dr. Camila Bomtempo joined the Department of Obstetrics and Gynecology at the Medical College of Wisconsin as an Assistant Professor in September, 2012. She earned her Doctor of Medicine degree from the University of Sao Paulo Medical School and then completed residencies in Obstetrics and Gynecology and served as Administrative Chief Resident at both University of Sao Paulo Medical School and Crozer Chester Medical Center in Pennsylvania. Dr. Bomtempo practices the full spectrum of obstetrics and gynecology including family planning, menopause, irregular bleeding, fibroids and endometriosis. She has a particular interest in pelvic pain and sexual dysfunction, and provides comprehensive medical and surgical care for these patients, including minimally invasive surgery. Awards and honors include the Award as Special Resident in Minimally Invasive Gynecology by the American Association of Gynecologic Laparoscopists in 2012. She divides her time between her clinical practice and teaching residents and medical students. Dr. Bomtempo enjoys spending time with her growing family and takes pleasure in the unique character of our city. She enjoys jogging by the lake and in the many parks around the city, as well as downhill skiing during the winter.